Scenic, historic, and just plain stunning, we’re off for a jam-packed day around the Ring of Kerry. 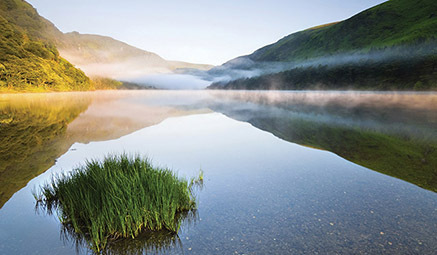 Delight in the rugged beauty of south west Ireland, an area of unspoiled wilderness, dramatic coastlines and sweeping vistas. We’ll be exploring the mystical Ring of Kerry and the staggering Dingle Peninsula, where jaw-dropping views greet you at every turn. Dingle Peninsula - Full Day - lush green hills giving way to crashing white waves, dramatic mountains and endless stretching skies. Get your cameras ready – we’re heading for one of the world’s most beautiful corners! 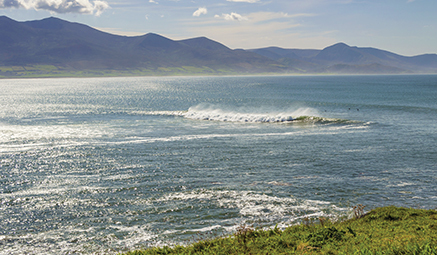 First we’ll pass through beautiful Tralee Bay, before stopping off at Annascaul, where rolling green fields run down to a bright, expansive ocean. Continuing on past Slea Head, see if you can recognise spots from 'Ryan's Daughter'! Feast your eyes on gorgeous landscapes over to the Blasket Islands, which locals have dubbed 'The next parish to America'. Returning to the hotel we arrive at the adorable little town of Dingle, with its picture postcard rustic harbour, and hospitality to write home about. Ring of Kerry - Full Day - delight in the stunning beauty of the Ring of Kerry taking in the top highlights. 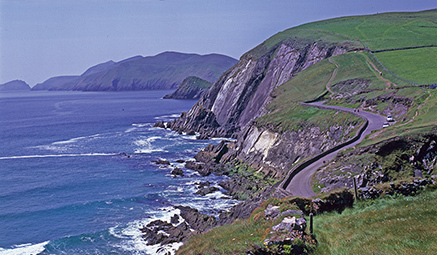 Joining the Ring at Killorglin, we’ll drive along the southern reaches of the dramatic Dingle Bay. Then we’ll head to Cahersiveen, an architectural jewel nestled under Bentee Mountain and famous birthplace of the “Liberator of Ireland”, Daniel O’Connell. On to Waterville we’ll continue through Sneem, alongside Kenmare River to the town of Kenmare. As we turn north to Killarney, we’ll journey through Moll’s Gap to Ladies View with its breathtaking vistas of the Lakes of Killarney. Finally we’ll make a short stop in the town of Killarney before returning to Ballyheigue. Tralee - Full Day - famed the world over for the Rose of Tralee festival, discover how much more there is to the beloved capital of County Kerry. The largest town in the county of Kerry, Tralee is brimming with beautiful architecture, rich history, stunning scenery and proud inhabitants. Have a look at the County Kerry Museum, explore the old churches like Ardfert Friary and Cathedral, or grab a cup of tea in one of the quaint cafes. Departure times as indicated. Drop off late evening on return. Via main roads to the ferry port for the crossing to Ireland. Retrace your steps on return.